Clafouti. What in the world is clafouti? Up until recently I hadn’t a clue. Was I ever pleased to find out. 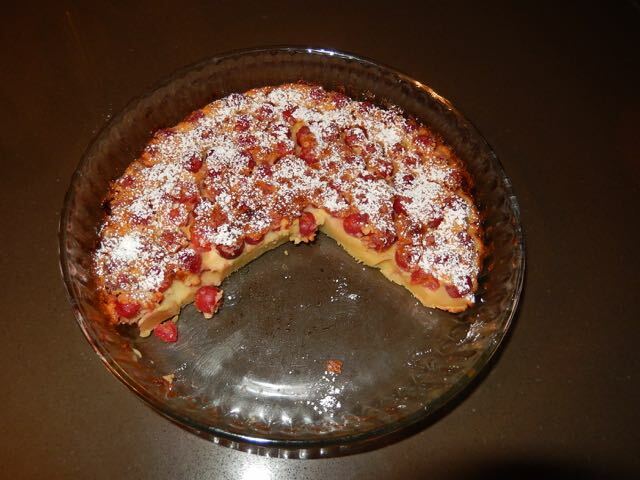 In short clafouti is a dessert. It’s best described as a cross between a cake and a pie, and it may be the best dessert in the entire world, but that’s just my opinion. 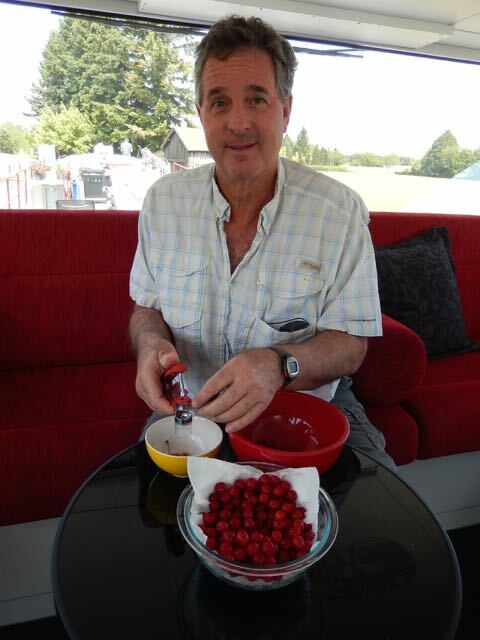 So how does one make a clafouti? 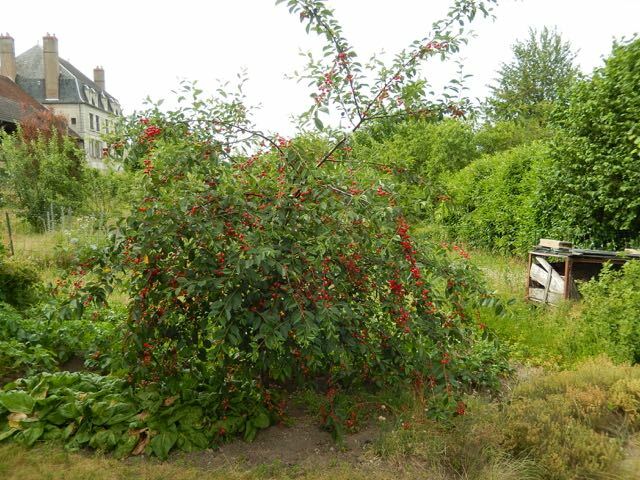 We started with a wild cherry tree loaded with ripe cherries. Lisa and I picked a large bowl full. Then I was given the task of pitting them. 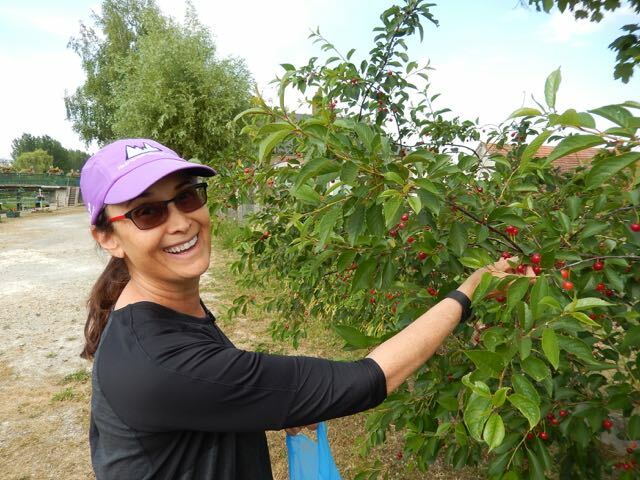 The cherries we picked were sour cherries, but you can use sweet cherries. No shortage of cherries on this tree. Clafouti. I only took one slice. Preheat the oven to 375 F. Butter a 10-in. deep-dish pie pan. Beat until frothy 4 large eggs and ¾ cup sugar. Add and beat until smooth 1-cup milk, 1-tablespoon Cognac or rum, and 2-teaspoons vanilla. Stir in ¾-cup all-purpose flour and a pinch of salt. Bake for 10-minutes at 375 F then lower temperature to 350 F. Bake another approx. 35-minutes until top has puffed and a toothpick inserted comes out clean. Transfer to rack and cool for 20 minutes then dust with powdered sugar. I prefer my clafouti served with vanilla ice cream, but then I like everything served withice cream. 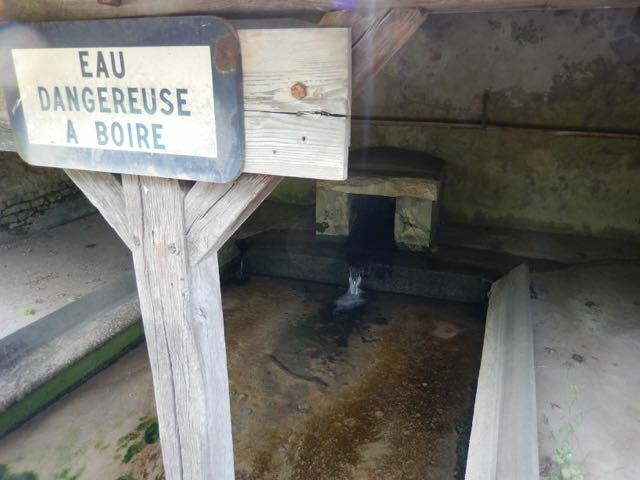 The old wash house in Beffes. Lisa instantly replied, “Oh no, what’s the good news?” I would have asked for the bad news first. Kevin eventually told us the bad news. A lock was broken up ahead, and wouldn’t be repaired until the following week. It wasn’t a big deal because with our new relaxed schedule we wouldn’t arrive there until it had been repaired. 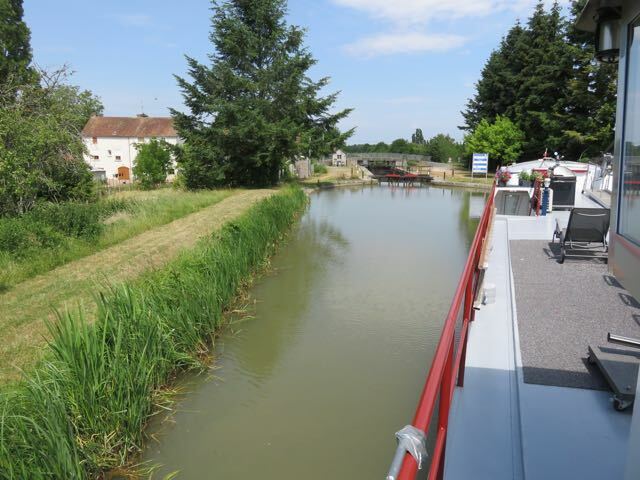 The next day we crossed over the Loire River on an aqueduct, and came to a double lock. We have done a couple of double locks in the past. You enter the top lock and when the water is drained out you exit the lock directly into a second lock. It’s not particularly complicated, but unfortunately the VNF had just replaced the old lock doors with new doors that actually made the locks shorter. Because Rabelo is a little over sized, things got rather tight. We had only three inches at the bow and a foot of space at the stern. That’s with the rudder turned 90 degrees. 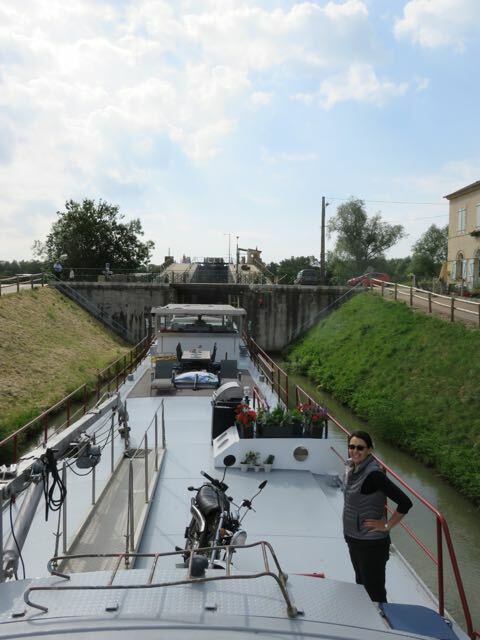 As the water drained out of the lock we kept our lines extra tight to prevent Rabelo from sliding forwards and backwards as we were lowered fifteen-feet in each lock.We exited the second lock without a scratch, and headed for La Charitesur Loire. Lisa looking concerned as we exit the double lock just past Beffes. 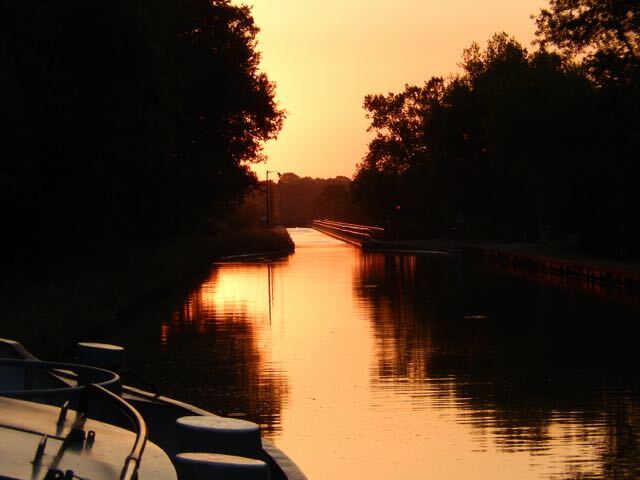 Sunset on the Canal Lateral a la sur Loire. 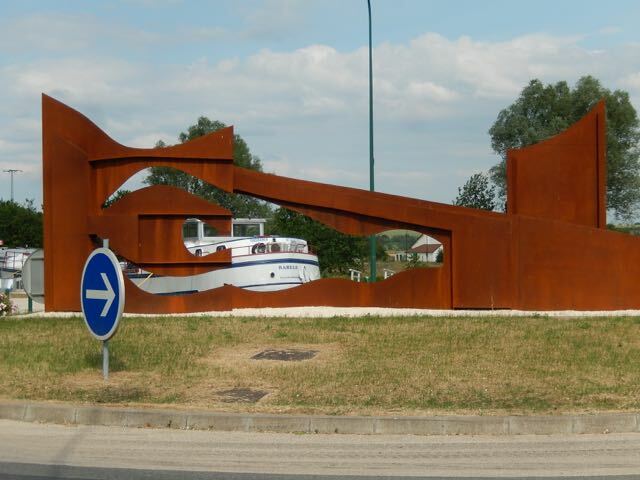 This is France so the locks are closed from noon to 1:00. This is how we block the canal to make sure no one gets in front of us when the lock opens. The One – The Only – The Johanna! Castle Guedelon, Fontainebleau, Touring Brian and Carrie Too!